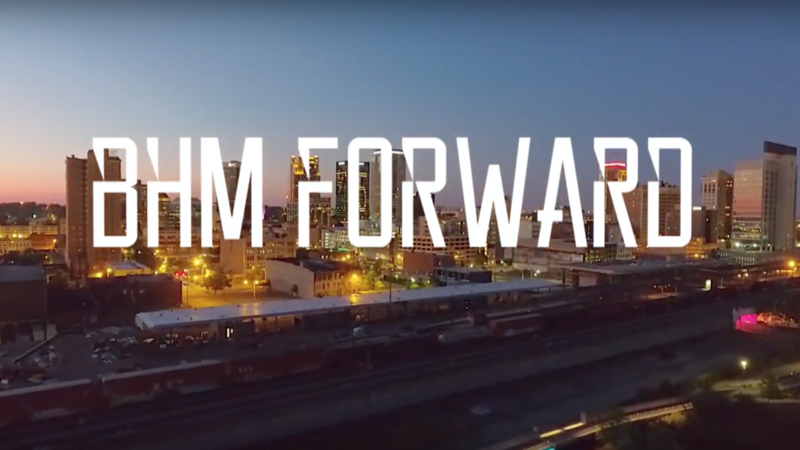 Leadership Birmingham is proud to present the BHM FORWARD video series so that anyone with a smartphone can show how far Birmingham has come and where the city is headed. BHM FORWARD visually unifies the elements of Birmingham that residents are most proud of and claim as their own no matter their home address and zip code. The videos cover Birmingham’s strengths in Medicine and Research, Economic Development and Quality of Life. The videos are under three minutes in length, with an under 1 minute version also available. BHM FORWARD has the opportunity to reach far and wide as more people share the videos on their personal and institutional social media platforms, on screens in waiting rooms, and on their company websites. Anyone who seeks help recruiting out-of-state talent to Birmingham can send them with pride, and at no cost. These videos celebrate the positive aspects of our community are a tool for everyone that wants to share their Birmingham pride and help build the future. Visit Leadership Birmingham to learn more about how this organization is helping the Magic City.